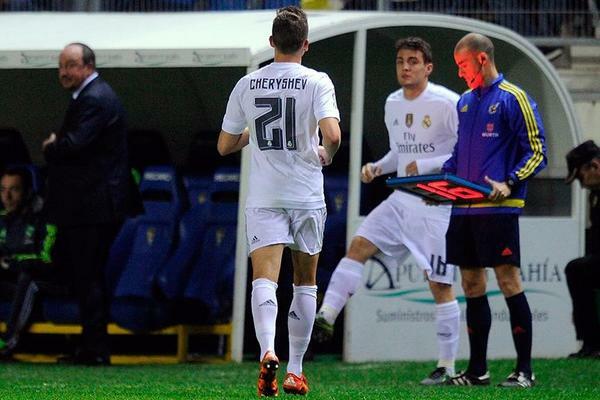 1/12 Between Real Madrid fielded an ineligible player at Copa del Rey and Blatter’s new scandal, the sports world not stopped surprising us this week. 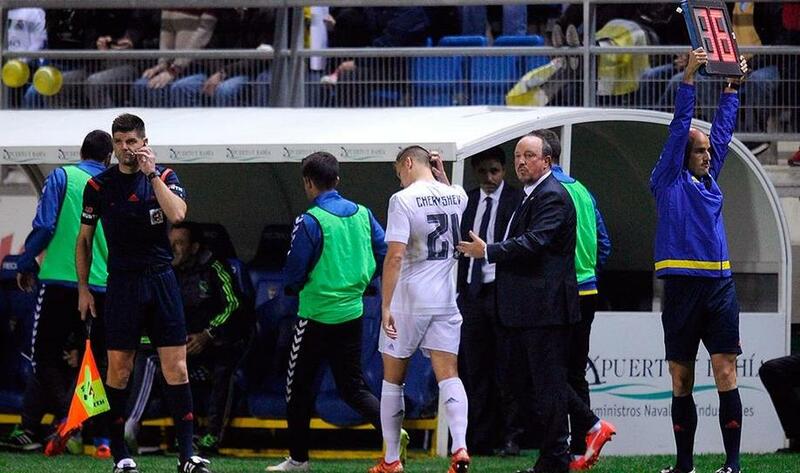 2/12 Real Madrid Thrown Out of Copa del Rey After Fielding Ineligible Player: Real Madrid have been expelled from the Copa del Rey for fielding the ineligible Denis Cheryshev in 3-1 win over Cadiz. 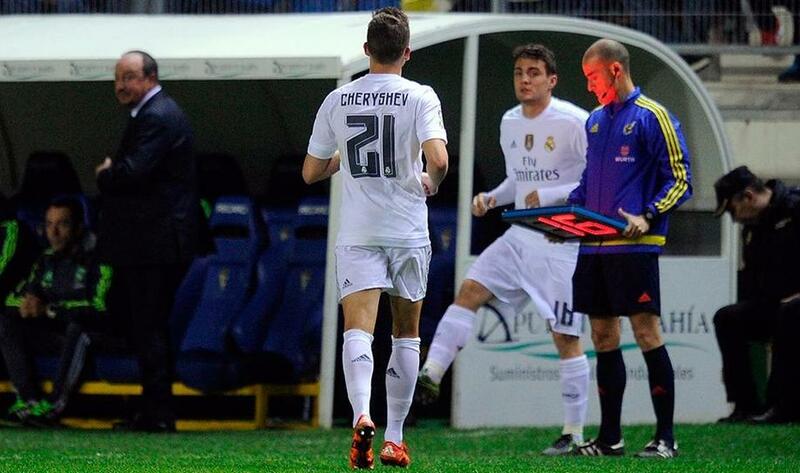 The Russian winger picked up three yellow cards in the competition last season while on loan at Villarreal - the third in the semi-final defeat to Barcelona - and was supposed to be suspended for the first game of this season’s Copa. 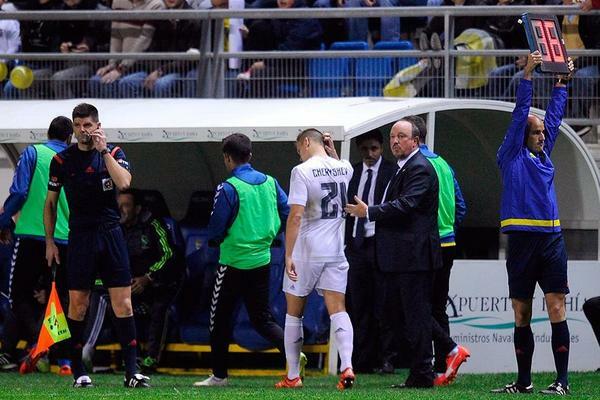 However, Madrid did not realise and Rafael Benitez, taking advantage of his squad, played him from the start against the third division side. 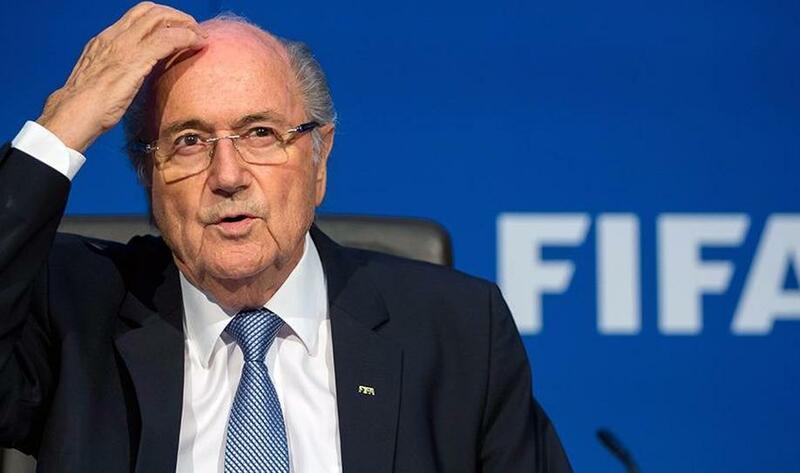 3/12 FBI Investigating Fresh Bribery Allegations Against Sepp Blatter: Sepp Blatter is facing a fresh probe from the FBI with FIFA's disgraced president having been linked to a $100million (£66.2m) bribery scandal, according to a BBC investigation. A BBC Panorama documentary, titled 'Panorama: Fifa, Blatter and Me', claims sports marketing company ISL allegedly paid ex-FIFA executive Ricardo Teixeira and the former president Joao Havelange. 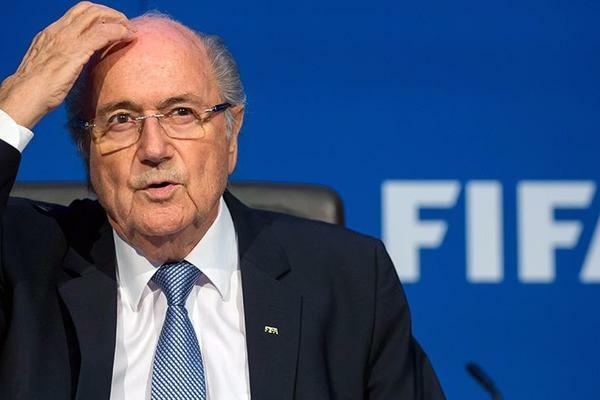 In return for the payments, ISL was awarded television and marketing rights during the 1990s, but Blatter, who is currently suspended by FIFA, denies all knowledge of the bribes. 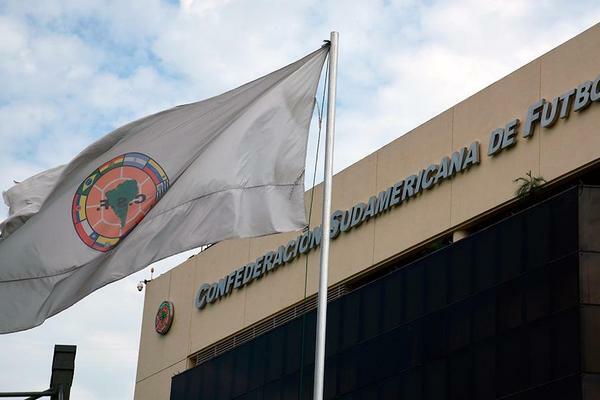 4/12 CONMEBOL, CONCACAF Presidents Arrested in Latest FIFA Corruption Controversy: CONCACAF president Alfredo Hawit and Juan Angel Napout, president of CONMEBOL, have been named as the two FIFA officials arrested. 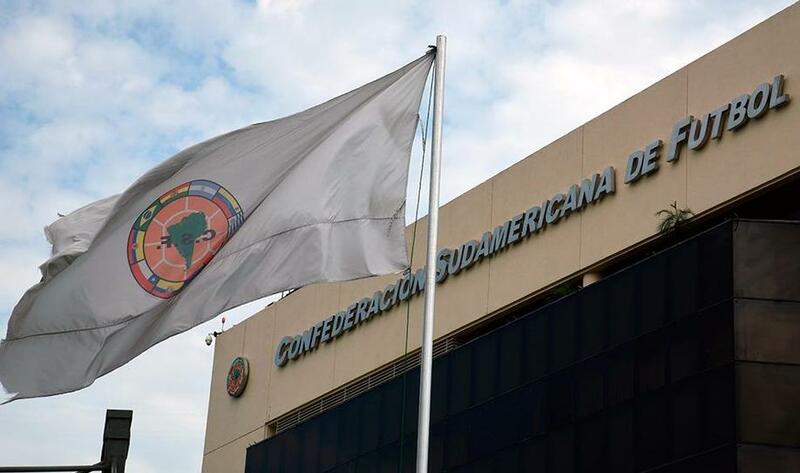 The Swiss Federal Office of Justice (FOJ) has confirmed the two FIFA officials arrested are Alfredo Hawit, president of CONCACAF, and Juan Angel Napout, president of CONMEBOL. 5/12 Barcelona 6-1 Villanovense: Sandro Leads Rout for Blaugrana Reserves: An alternative Barcelona powered past Villanovense to take a 6-1 win in the Copa del Rey second leg. A thunderbolt from Dani Alves with just four minutes played allayed concerns over an upset, however, before Sandro capitalised on a dreadful Villanovense error to make it 2-0. Juanfran scored a fine strike on a rare Villanovense break to halve the deficit after 29 minutes, but Sandro's second two minutes later killed any hopes of a comeback before half-time, before Munir's header early in the second half made it 4-1. Sandro clinched his hat-trick in emphatic style midway through the second half and set up Munir for the sixth with a brilliant backheel away from goalkeeper Jose Fuentes, leaving Camp Nou delighted with the efforts of Barça's younger stars. 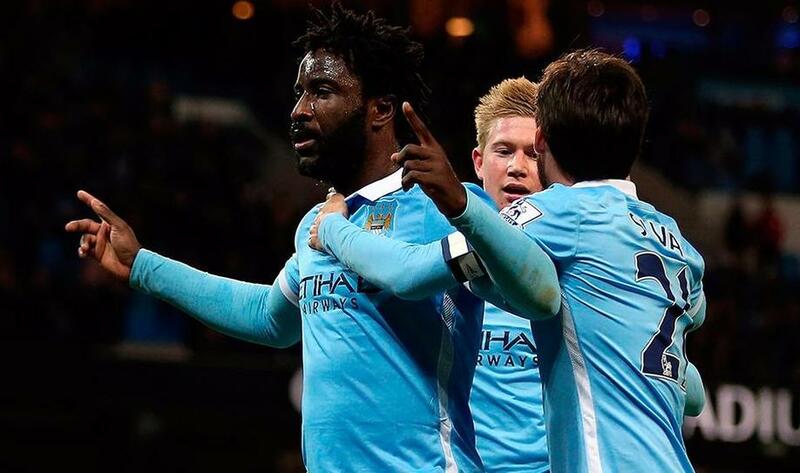 6/12 Manchester City 4-1 Hull City: De Bruyne at the Double as Hosts Reach Last Four: Kevin De Bruyne scored two late goals to help Manchester City to a 4-1 victory over Hull City in the League Cup quarter-finals. Wilfried Bony struck early in the first half at the Etihad Stadium and the Premier League leaders rarely looked like surrendering their advantage before substitutes Kelechi Iheanacho and De Bruyne clinched the victory in the closing stages. 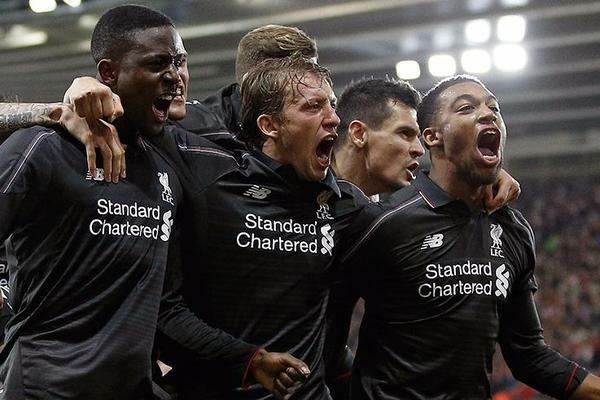 7/12 Southampton 1-6 Liverpool: Origi Hits Hat-trick as Reds Run Riot: Divock Origi scored a hat-trick and Daniel Sturridge netted two goals on his first start after injury as Liverpool demolished Southampton 6-1 to reach the League Cup semi-finals. Ronald Koeman's team started in sensational fashion at St Mary's Stadium, with Sadio Mane heading them into a first-minute lead. 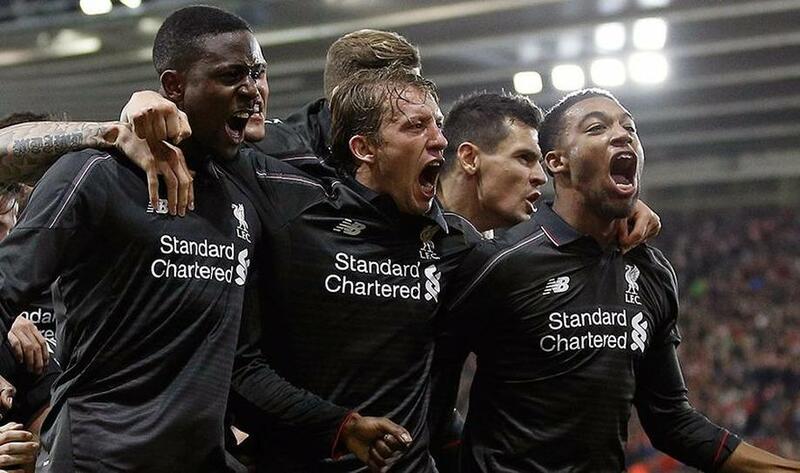 All that changed when Sturridge fired them level after 25 minutes. Sturridge soon added a second courtesy of a brilliant assist from Emre Can and Origi turned in an Alberto Moreno shot in the final minute of the half to conclude a devastating three-goal spell. If there was a touch of fortune about Origi's first, his second arrived in more emphatic fashion – crashing home from the right-hand side of the area via the inside of the crossbar – and substitute Jordon Ibe got in on the act before the Belgian striker nodded in to claim the matchball in the 86th minute. 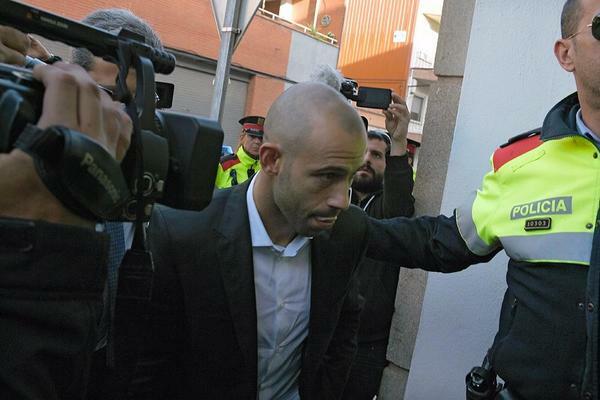 8/12 Mascherano Avoids Prison with Tax Evasion Guilty Plea: Javier Mascherano has pleaded guilty to tax evasion charges in Spain, but will avoid a spell in prison due to a deal struck with authorities. The Barcelona star came to an agreement with the State Attorney under the terms of which he will pay a fine of €815,000 as well as accepting a one-year jail sentence. 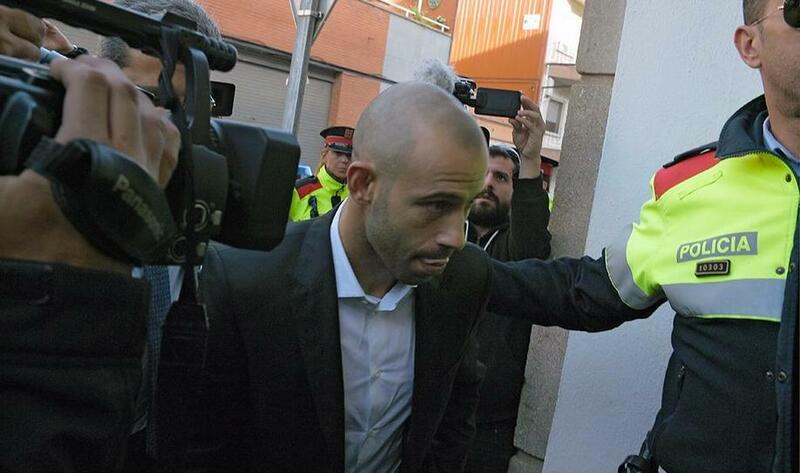 The punishment will be suspended unless Mascherano commits the same offence in the next 12 months in a deal that will be confirmed in court on a date still to be determined. 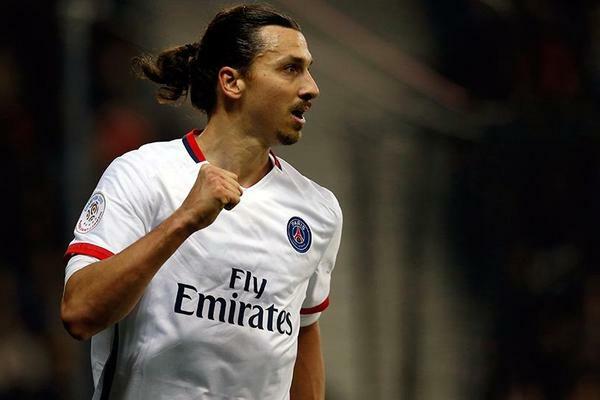 9/12 Ibrahimovic Sets a New Goal Record with Paris Saint-Germain: Paris Saint-Germain continue to lead the way in Ligue 1 after 3-0 win over Nice - and Zlatan Ibrahimovic has now set a new record for the French champions. 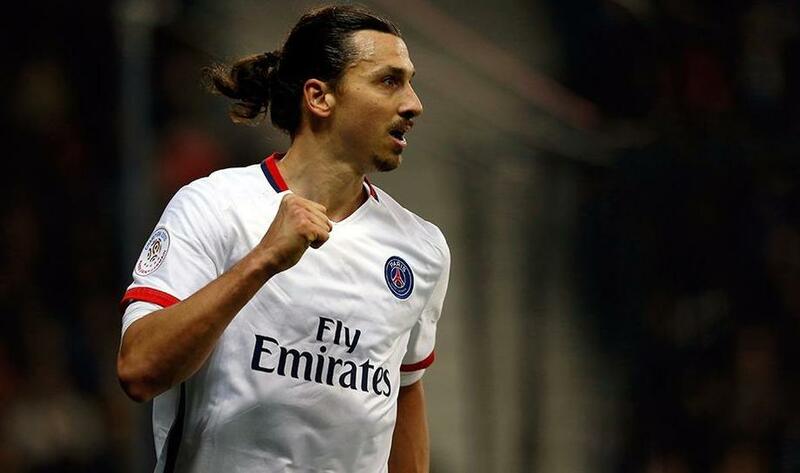 The Swede struck twice in the victory which has put PSG a whopping 16 points clear at the top of Ligue 1 - and is now the club's all-time leading scorer in the French top flight with 87 goals. 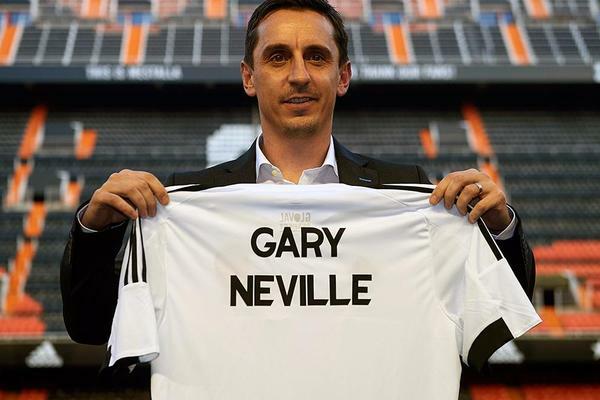 10/12 Valencia Appoint Gary Neville as Manager: Gary Neville has been named the shock new manager of Valencia until the end of the season, the La Liga club has confirmed. 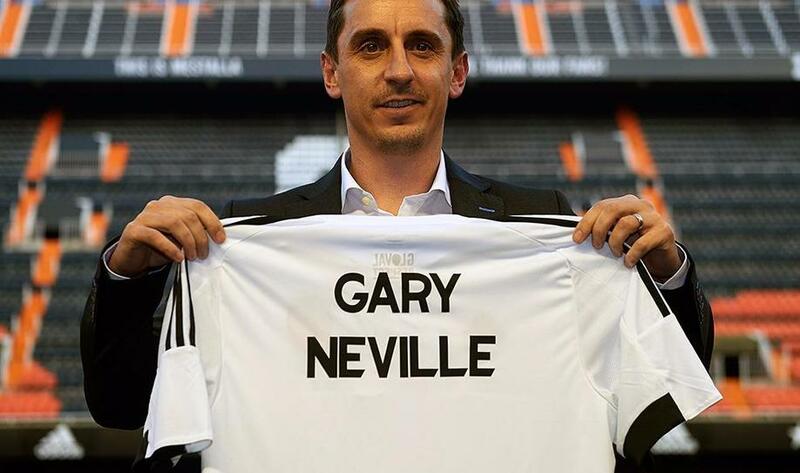 The former Manchester United and England fullback's first game in charge will be the Champions League clash with Lyon on Dec. 9, as he takes his first steps in football management. 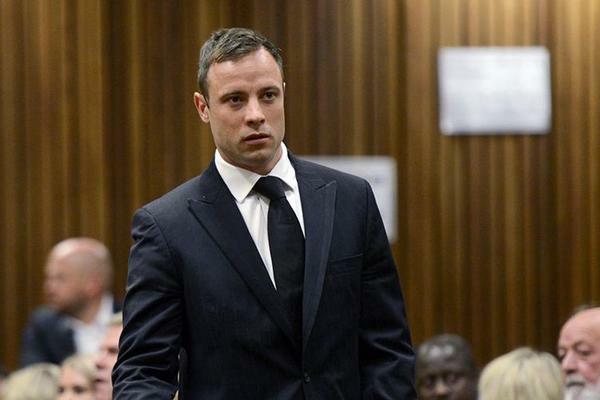 11/12 Oscar Pistorius Verdict Changed to Murder: Oscar Pistorius faces a return to prison after South Africa's Supreme Court of Appeal ruled his initial manslaughter conviction for killing girlfriend Reeva Steenkamp should be changed to murder. 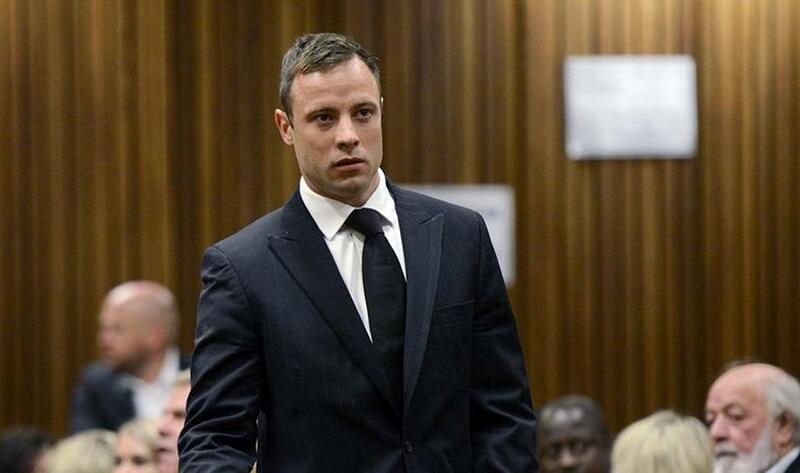 Pistorius was handed a five-year jail term last October for the "culpable homicide" of Steenkamp, whom he killed by firing shots through a locked bathroom door on Valentine's Day 2013. 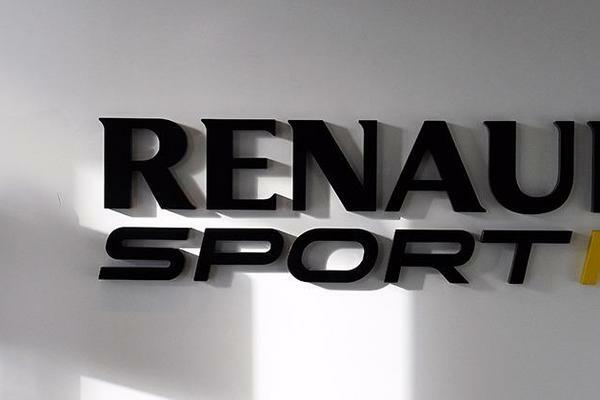 12/12 Renault Agree Formula One Return with Lotus Deal: Finally, Renault have completed a deal in principle with Lotus that secures their return to Formula One in 2016 after five years away. 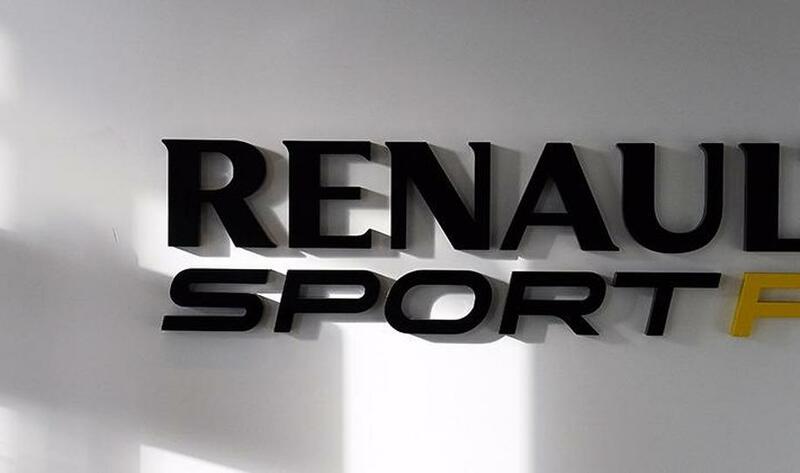 The French constructors have been in talks for several months with Lotus about returning to the sport and signed a Letter of Intent in September. Lotus – who finished sixth in the constructors' championship in 2015 – have been beset with financial problems in 2015, the team having faced the threat of administration over unpaid tax. Bolt: I Want To Be Like Ali And Pele.